Trump’s attack on Syria — a decisive action, a good speech, but now what? Were the strikes only a warning shot for Syrian dictator al Assad, or will they be part of larger campaign against him? (CNN)President Donald Trump gave one of the best speeches he has ever delivered when he announced late Thursday that he had ordered US cruise missile attacks in Syria — and that they were directed at the base that sent off the airstrikes on Tuesday that killed dozens with nerve gas, including many women and children. From his estate in Palm Beach, Trump, visibly moved, described the “beautiful babies” whose lives has been choked out by the gas attacks. In acting against the Syrians over the use of chemical weapons, Trump chose a course that his predecessor, Barack Obama, avoided, even after drawing a “red line” on the issue. 1. Were the cruise missile strikes only a warning shot for the Syrian dictator Bashar al Assad, or will they be part of larger campaign against him? The United States has previously launched cruise missile strikes to “send a message” in which the message wasn’t exactly received — for instance, the cruise missile strikes against an al Qaeda base in Afghanistan that followed the group’s attacks on two US embassies in Africa in 1998 that killed more than 200 people. 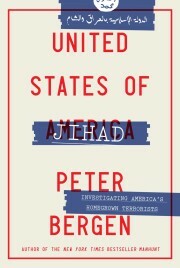 Three years later al Qaeda carried out the 9/11 attacks. The message of the cruise missile strikes in that case clearly did not deter the enemy. Officials in the George W. Bush administration later criticized the cruise missile strikes that were ordered by President Bill Clinton in Afghanistan in 1998 as only “pounding sand.” Will historians take a similar view of Thursday’s strikes? 2. The war in Syria has displaced 14 million Syrians and half a million have been killed since Assad unleashed a brutal war on his own population six years ago. Does the Trump administration have a larger plan to protect Syrian civilians going forward? Already the Trump administration — despite legal challenges — has attempted to ban Syrian refugees who are largely women and children from entering the United States. These Syrian refugees are not terrorists. They are fleeing the brutal terrorism of the Assad regime and the brutal terrorism of ISIS. They are the victims of terrorism, not its perpetrators. On the campaign trail, candidate Trump occasionally raised the idea of creating “safe zones” for Syrian civilians. Is the next step for the Trump administration the creation of such zones? After all, one set of cruise missile strikes will hardly protect the millions of Syrian civilians who are currently at the mercy of the Assad regime. 3. The Russia connection: Assad owes his continuation in power to the intervention of Russia in 2015 to prop up his regime. Given Trump’s warm feelings toward Russian President Vladimir Putin and against the backdrop of investigations into relationships between Trump campaign officials and the Russians, do the cruise missile strikes on Thursday mark a clear repudiation by the Trump administration of Putin? And how will the Russian leader react? 4. How does it end: Machiavelli wisely noted, “Wars begin when you will but they don’t end when you please.” Already Trump officials are saying that the cruise missile strikes are only a limited response to the sarin gas attack and they are not part of some larger campaign against Assad, but these are exactly the same kinds of statements we have often heard when the United States first gets involved in a conflict overseas. 5. What is the legal basis for the attack? The Trump administration launched the cruise missile strikes in Syria, an act of war, without a UN resolution or Congressional authorization. Will the Trump administration attempt to get some buy-in from the US Congress for any further military action in Syria? After all, it is Congress that is supposed to authorize US military actions, not the Commander in Chief who is tasked with carrying them out.